I’m seeing AirPods in everyday use increasingly often, and it’s got me thinking about the business case of using these things in the enterprise. Apple’s AirPods are white wireless earbuds that let you play music, communicate, get information and ask Siri for help. They aren’t (yet) independent devices and must sync with an iPhone or LTE-enabled Apple Watch to deliver all their features. AirPods have a reputation for delivering good quality for a wireless device, and users also like that when they wear the things they retain some awareness of what’s happening nearby – essential in some parts of the city. With a 98 percent customer satisfaction rating, they are popular, Apple CEO Tim Cook recently said, “We’re selling them as fast as we can,” revealing a 60 percent increase in revenues for the company’s wearables segment, which also includes Apple Watch. 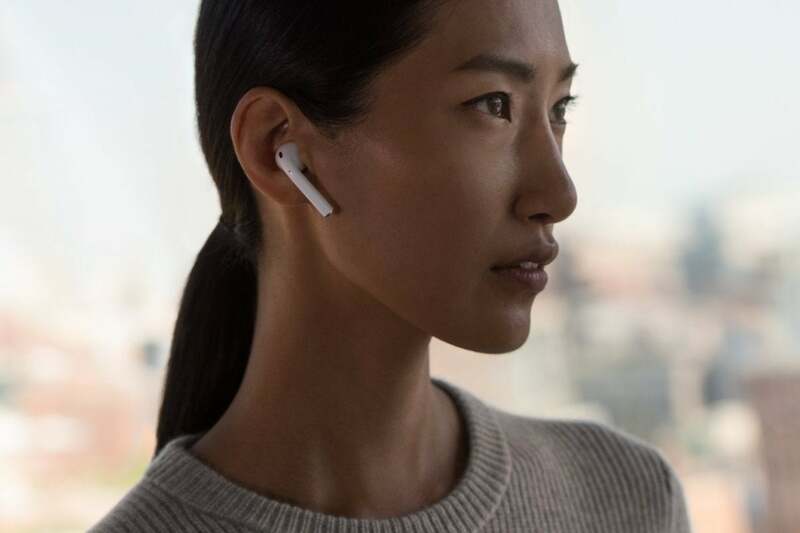 Industry watchers see AirPods as important steps toward the evolution of a future some call “ambient computing”, so what is the enterprise usage case for this? The false division between enterprise and consumer technologies should have disappeared when it became clear that BYOD had changed IT, but what resistance remains I don’t expect will endure. How can it? It’s clear that agility, compatibility, security and reliability will be the guiding lights to future purchasing. Even Microsoft accepts the need to play nice on multiple platforms. We know that voice is big in business. Generation Z is increasingly voice-based – almost half of 36-45-year olds have a voice-based device in their homes. ComScore believes halfof all searches will be voice-based within two years. This is driving big players in enterprise technology to invest in voice-based platforms businesses can use. Those involved read like a list of Apple’s enterprise partners: IBM Watson, Cisco Spark, Microsoft/Skype, SAP Co-Pilot and others. Here are some of the ways voice is becoming part of the enterprise. Voice conferencing using AirPods, or using AirPods and another iOS device for video conferencing seems an obvious use of these products in the enterprise, but developers are looking far beyond that form of collaboration, to more earnest outcomes when working with smart machines. Voicera is developing Eva, an in-meeting AI assistant that takes notes, books calendar dates and manages other useful tasks. You can get this solution to arrange meetings for you, take notes and more. The software works with enterprise-class collaboration platforms like Salesforce and Skype. All those useful reminders (and in future contextually intelligent suggestions) are just one whisper in your AirPod ear away. That’s even before we enter the world of connected, voice-activated office technologies (and Industry 4.0). Delivery and logistics pros can be kept seamlessly up-to-date with AirPods. They can even use them to summon directions, or to learn about the next order on the list. These features are just as effective for business travellers, who can use these things to take immediate notes, create reminders, schedule data and communicate while on the move. Field service engineers can anticipate detailed product and installation instructions, possibly in conjunction with next-gen AR glasses and more. Siri in iOS 12 will gain the ability to translate between several languages. In future it seems logical to expect this benefit to extend to AirPods, possibly in conjunction with Live Listen tech which will also ship then. We’ve seen moves to use Apple Watch in some warehouse situations. AirPods are a nice next step, enabling order picking, communication and warehouse navigation with no interruption in workflow. On the factory floor, voice means instant access to company data, intranet and personnel records, enabling all in the chain to make more efficient use of time. Apple’s move to introduce Business Chat wasn’t altruistic. Multiple vendors already provide voice-based customer service technologies, now it supports a Messages-based bot, surely it won’t be too long until Apple begins to develop its platform to provide better support for voice-based customer services solutions. The rise in voice search also poses new challenges. Enterprises must look at how they make information available, and how to nest that information in such a way that those finding the company online using voice search can still find what they need without using a screen. Where AirPods will really come into their own is in the field of contextual intelligence. Think about Voicera, Siri Shortcuts, and Apple’s work to make Siri smarter when it comes to suggesting things you might need it to do in iOS 12. The direction of travel here seems clear: AirPod-equipped enterprise workers will be provided not just with information about their goals, meetings or upcoming deadlines, but also with genuinely helpful tips and advice to help them get things done. I’m not saying voice will be the only interface for this, touch, gesture, emotion sensing among other user interface technologies will all form part of the way we work with increasingly intelligent machines, but voice will be a primary interface for many tasks. Enterprise users absolutely must explore the potential of these technologies to improve – and disrupt – existing business models.